Ellene Masri, songwriter, guitarist and performer, has just released her debut self-produced (and arranged) album“Music” a mixture of various cultural influences inspired by her mixed roots, her travels around the world and her many musical encounters, under her own label “Music Talks”, on November 1st. She has already been previewed in the UK on Jazz FM, discovered by radio host Chris Philips (The Jazz Breakfast) to rave reviews, garnering single of the week. She has worked extensively throughout Europe & America with many major label recording artists, compiling several gold & platinum discs. 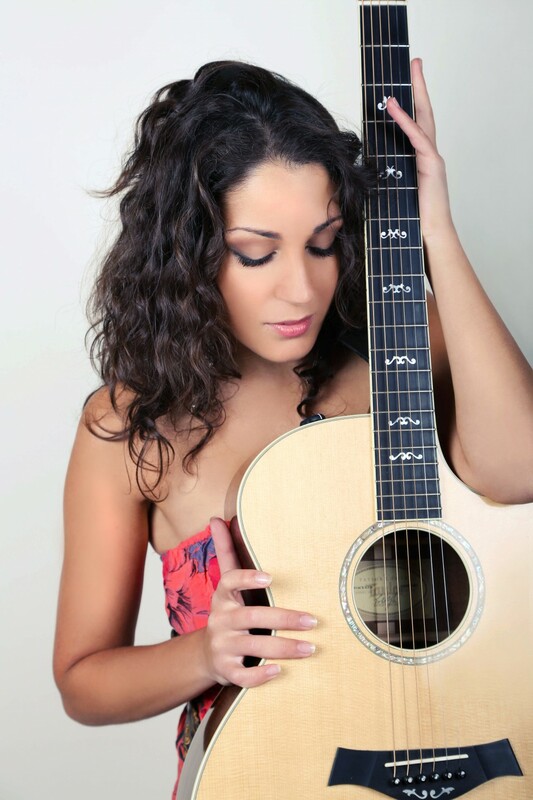 Ellene Masri has performed at various festivals and venues in Paris and across Europe accompanied by her guitar and some excellent musicians (like Etienne Mbappe on bass whose unique style and musical genius contributed to give Ellene’s album its depth and singular color). Her compositions, personal universe and moving voice have touched the Jazz en Baie Festival’s audience on August 16th where she appeared, with Sir Gant on piano, as the festival’s favorite. Sir Gant is known for arranging the masterpiece “Sweet Love” performed by Anita Baker, and for his collaborations with women such as Randy Crawford , Madonna, Perri and Regina Belle. He is now the musical director on Ellene Masri’s live performances.